For those who have rock or minimal ice climbing skills. The focus of this course is on proper climbing technique; the signature of a good climber. Also covered is using ice screws, basic anchor systems and single rope climbing. The goal is to build your skills and confidence to allow you to safely follow an experienced leader. Our day will start by meeting at a specified time and place. After a mandatory equipment check and safety briefing, we will drive 30-45 minutes to the days climbing area. Start our 45-60 minute approach into the climbing area. Discuss the unique hazards of our climbing area and rack up. Start with the fundamentals of climbing then focus the majority of the time on proper technique. Practice basic anchors and finish the day with a complete climb. 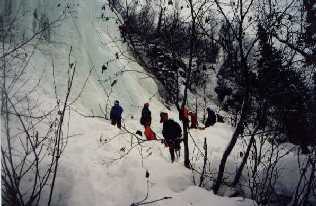 For further advancement in ice climbing. 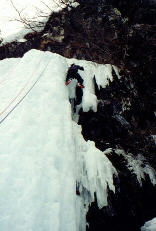 Covered is efficient lead climbing techniques, advanced anchors, multi-pitch climbing, decision-making, route finding: everything an intermediate ice climber needs to evaluate hazards and safely complete an ice climb. Our day will start by meeting at a specified time and place. After a mandatory equipment check and a safety briefing, we will drive 30-45 minutes to the days climbing area. Begin our approach into the climbing area with most approaches taking 45-60 minutes. Combines the skills covered in both Beginning and Technical Ice courses. This 2-day course is for those serious about acquiring comprehensive knowledge of technical waterfall ice climbing. Day 1: We will meet at a specified time and place. Have a mandatory equipment check and discuss safety. Drive to the days climb (30-45 minutes) and then begin our approach into our climbing area (30 minutes-2 hours). Discuss the unique hazards of our climbing area and rack up. Start with the fundamentals of climbing. Focus majority of the time on proper technique. Practice basic anchors and finish the day with a dance up beautiful blue. Day 2: You have the option of going back to the same climbing area as the day before or somewhere new. You can also request for a night out camping in the climbing area. This day will start with hazards of leading and picking out a safe route. Focus majority of the time on proper and efficient technique for leading. Work on advanced anchors and multi-pitch skills. 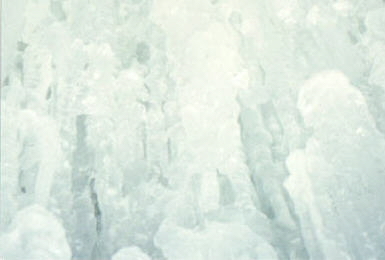 Finish the day with a multi-pitch dance up frozen crystal. Are you new to the Anchorage area? On business and love the outdoors but don't know the area or have a partner and want to venture out? 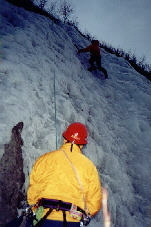 High Ice AK encourages those with a particular climbing goal to inquire about guided climbs.